Att bli kallad en gamer är inte nedlåtande, som det kanske var en gång i tiden, utan nu ser man – eller de tillfrågade – på det som en positiv sak. The gaming industry has changed at such an exponential rate over the past five years, that the face of gaming has transformed before our eyes, both literally and figuratively. Once a niche hobby, explored primarily by teenage boys and serviced by a handful of companies, the gaming market exceeded $30 billion in 2016 and is forecast to grow at a 6% compounded annual growth rate through 2019. In 2017, more people tuned-in to watch electronic sports’ (esports) League of Legends finals than the U.S. football and baseball professional championships combined. In fact, Alienware co-founder Frank Azor predicts esports is on the path to becoming the most popular sport in the world in the next 10 years. Similarly, with PC gaming’s explosion of popularity have come many new hardware and software entrants, introducing innovation and competition as well as driving down costs, which has lured even more intrigued spectators into the gaming world. Alienware, the leading hardware manufacturer and member of the gaming community for more than 20 years, is a proud ambassador of PC gaming. 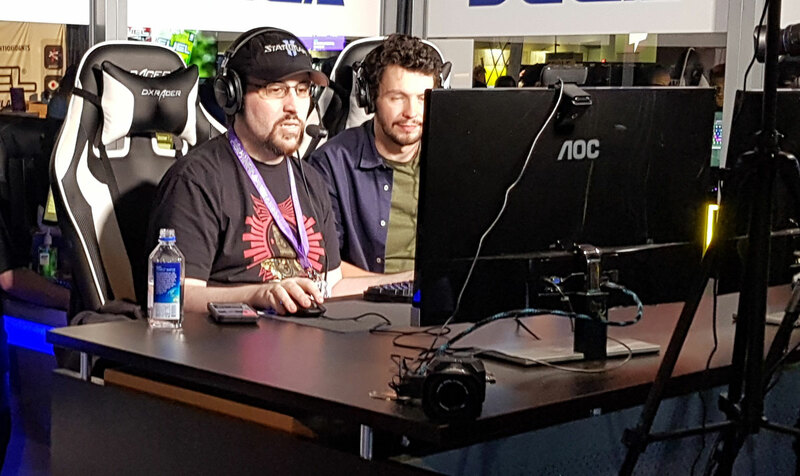 With two lines of products to serve gamers of every budget, as well as robust community engagement programs from Alienware TV to Alienware Arena, and more – Alienware has stood side by side with the community as it has grown. As the figurative face of gaming has changed, so has who people think of as a “gamer.” Looking to set the record straight on the profile of today’s players, Alienware partnered with a third-party research firm, Researchscape, to conduct an extensive online survey of 5,763 video game players from 11 countries (Australia, Brazil, Canada, China, France, Germany, India, Japan, New Zealand, UK and U.S.) on today’s gaming habits, attitudes and the wider gaming community. To qualify for the study, respondents had to play videogames on desktops or laptops for at least an hour a week. Gone are the days that being called a “gamer” is derogatory. According to those surveyed, fewer than one in 10 feel either “judged,” “childish” or “embarrassed” being called a “gamer” (8-9% each). Instead, they consider “gamer” a positive label and feel “fun” (35%), “cool” (29%), or “excited” (26%) as a result. Through online platforms and social media, fueled by the popularity of esports and innovations in PC gaming rigs, the gaming community is growing in size, diversity and inclusiveness. Gamers are not shy about sharing their love of gaming with others and inviting others to share in the enjoyment, with 27% having introduced three to four friends or family members to gaming, and 25% having introduced five or more. 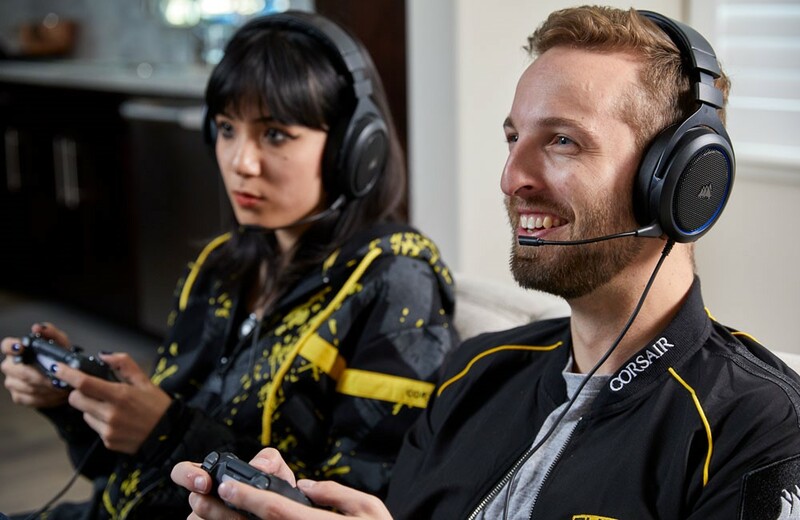 With the accelerated pace at which gaming is going mainstream, it’s safe to bet those unfamiliar with gaming will start to see it pop up in their daily lives before they know it. Why do people say they game? People are increasingly turning to videogames for relaxation (60% of respondents), passing the time (51%) and relieving stress (49%). A little under half (40%) of gamers are not concerned with their skill level, yet ironically, no one likes to identify as a “noob” (gamer code for the new kid on the block). Just under 6% identified as noobs, while 14% consider themselves to be just beyond noob level; 40% identify as casual gamers, 25% as “pretty darn good”, and 8% feel they can compete with pro gamers. And a fun fact – gaming for a living can net a pretty penny with some of the top players bringing in as much as $500,000 a month for their videos. Once the dominion of young men, gaming has become a welcoming community, accepting of whomever is behind the computer. When it comes to being matched with rival gamers, culture/ethnicity (8%), political views (7%), and sexual orientation (6%) are for the most part inconsequential to a player. What matters most is the other gamer’s skill level (40%). Only 14% of gamers said they care about the gender of the rivals they are matched with online, which could explain the sharp increase in female gamers in recent years. One in two players (47%) has a female friend who plays videogames. Almost a third (29%) have a sister who plays, and 21% said their daughter does. Only 17% of gamers reported a need to recruit more women to their gaming community ((male (17%) vs. female gamers (16%)), though a quarter of teenagers (25%) wanted to create a more welcoming environment for female players. Contrary to outdated stereotypes about the reclusive gamer, many lead busy lives with many outside interests. When not gaming, their attention is spent on music (63%) and spending time with family (59%) or friends (55%). Traveling (50%) and reading and writing (46%) were also popular. Players in Brazil (52%), France (58%), and Canada (49%) in particular are more inclined than others to be more curious and want to learn about new things. Gamers in Brazil (46%), China (46%), and India (41%) enjoy breaking a sweat to stay fit, while Canadian gamers prioritize quality time with family (68%), friends (64%), and pets (40%). Their American neighbors are more inclined than anyone to spend time with their pets (45%) and are almost as sports-mad as the PC gamers from India are (46% vs. 58%). Gaming isn’t just playtime – it can also hone beneficial skills. Close to four out of 10 survey respondents said that, because of gaming, they are more strategic thinkers (39%), have improved hand-eye coordination (37%) and increased reaction time (36%). Some even perceive that their teamwork (27%) and leadership (18%) skills have improved. This aligns with research conducted by the Royal Melbourne Institute of Technology, Australia which found teens who were regular gamers scored higher than average in math, reading and science on an international exam. The more advanced the gamer, the more likely they are to report skill development. Half of gamers at pro level (54%) claimed that gaming has made them more strategic thinkers, while 36% of casual players and 30% of noobs said the same. Similar patterns occur for technology skills: 42% of pros said they are more tech savvy compared to 18% of casual players and only 14% of noobs. Gamers spend a median of six to nine hours per week playing video games with 25% spending 10-19 hours and one out of five gamers (21%) spending 20 or more hours per week playing. Players say they know gaming is their priority when they feel like sacrificing sleep (37%) and eating (27%). Yet today’s gamers are unlikely to skip out on social commitments for gaming, with less than one in four saying they would bail on holiday celebrations (23%), a friend’s celebration (21%), a family birthday (18%), or a professional sporting event (18%) to game instead. Respondents would be willing to give up a lot just to play video games, including candy/sweets (28%), their favorite television show (23%) and social media (23%). As might be expected, younger gamers (39 years and younger) are willing to give more things up than those 40 and up. While skill level is important, losing is not the end of the world. Only 23% said that losing an intense match is worse than a low battery, 20% that it is worse than traffic jams, and 19% that it is worse than a cold shower. While Dell leads in virtual reality (VR) with the most PC options in the market that support VR headsets, only 30% of respondents said they play virtual reality, augmented reality and/or mixed reality PC games, an average of six hours per week. Even with the growing accessibility of VR headsets and VR systems, there is still great opportunity for VR growth amongst PC gamers. When asked what they are most excited about when they think about the future of gaming, nearly a quarter mentioned tetherless VR (24%) and 20% mentioned virtual arcades. Researchscape conducted an online survey of 5,763 videogame players, age 14-87, from 11 countries (Australia, Brazil, Canada, China, France, Germany, India, Japan, New Zealand, UK and U.S.) and in six languages in order to better understand gaming habits, attitudes and the wider gaming community. To qualify for the study, respondents had to play videogames on desktops or laptops and had to play for at least an hour a week. They did not need to identify as gamers, and 7% said they did not. The survey was fielded from Dec. 9, 2017, to Jan. 30, 2018. Nearly half of respondents were in their 20s (26%) or 30s (22%); 12% were teenagers (14-17). Gamers were split nearly evenly male (52%) and female (47%). Many were married and living with a spouse (42%) or a partner (15%), and half had children or stepchildren (52%).